In a lot of ways, it seems like the Rolex we know today was founded in the 1950s. The Submariner was introduced in 1954, along with the Milgauss and the Lady Oyster Perpetual ( the forerunner of today’s Lady Datejust). And the Day-Date came along in 1956. The GMT-Master was released in 1954. But there was also another watch released in 1954 – the GMT-Master. The GMT-Master, ref. 6542 was the result of a joint venture between Rolex and Pan American World Airways. PanAm wanted a watch that could help their pilots keep a reasonable sleep schedule while flying the newer faster jets on intercontinental flights. The 6542, with its 24 hour hand in addition to the regular hour hand, did just that. 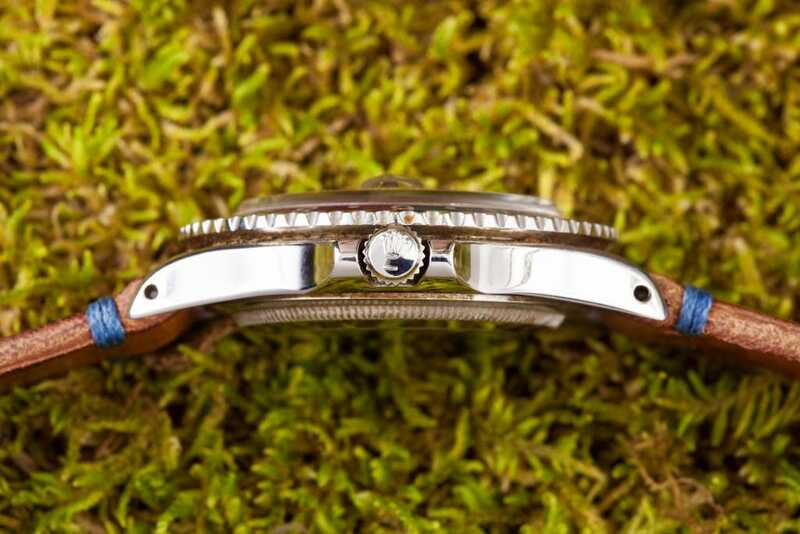 The 6542 was based on the Turn-O-Graph version of the Datejust, which also featured a rotating bezel. The 24 hour hand was geared hard to the 12 hour hand, with no capability for separate adjustment. The rotating bezel carrying a Bakelite insert marked with 24 one-hour increments took care of the second time zone. The insert on the steel version of the watch was divided into blue and red for night and day, while the gold version’s insert was all brown. 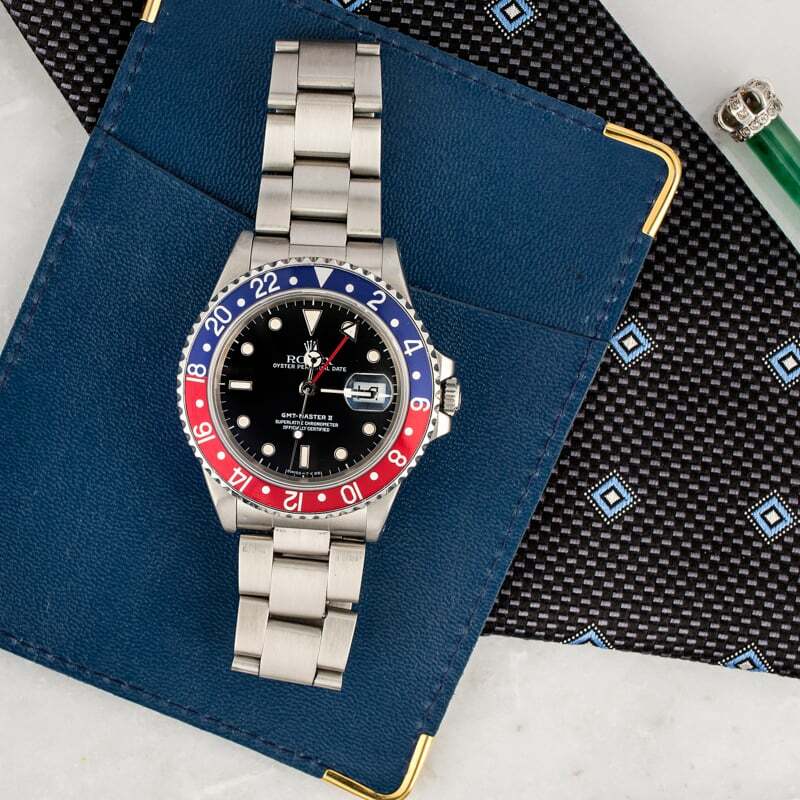 GMT-Master II 116710BLNR is a newer model. The 6542 lasted five years before being replaced in 1959 with the reference 1675, the watch many is the quintessential GMT-Master. The 1675 was the first GMT-Master to feature crown guards, taking cues from the Submariner. The 1675 stayed in production until 1980, making it one of the longest-running references in continuous production of any Rolex reference. The “Fat Lady” earned its name for its slightly thicker case. Now, it can be said that the ability to separately set the 24 hour hand is what separates the GMT-Master from the GMT-Master II. But that’s not quite true. Ref. 16750 replaced the 1675, and it was the watch that introduced the quickset GMT hand feature. But it was still a GMT-Master, sans the “II” designation. It ran until 1988. And in the midst of the 16750’s run, the 16760 made its appearance. The first GMT-Master II was also known as the “Fat Lady” due to being thicker than the 16750, and featured white gold surrounds on the hour markers. It’s less clear why it was also known as the “Sophia Loren.” The gold surrounds perhaps? Interestingly, this reference was only offered with the “Coke,” or black & white bezel, and was discontinued the same year as the 16750 (1988). The 16700 and 16710 replaced the 16750 and 16760, respectively. 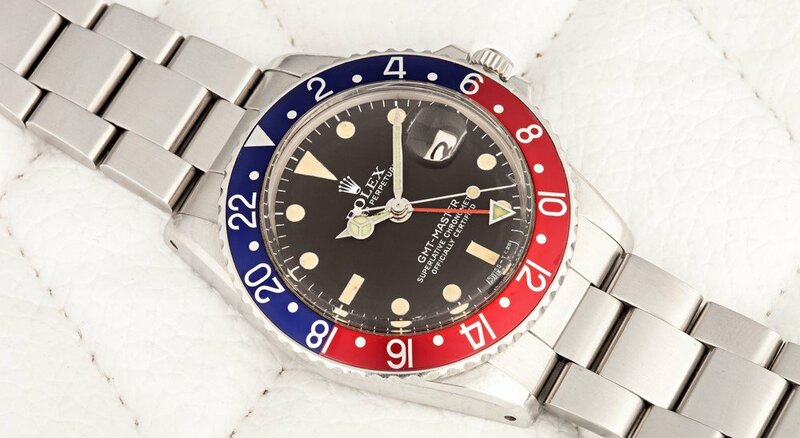 This gets pretty confusing, but note the 16750 and its replacement still featured the hard-geared 24 hour hand, while the 16760 and 16710 sported the quickset hour hand. The 16700 was produced until 1999, while the 16710 lasted through 2007. That’s when the GMT-Master II morphed to the new beefier case, ceramic bezel, and Rolex-engraved rehaut. The crown was now the Triplock, and the bracelet was new as well, with a better clasp, a la the Daytona. There were also minor changes to the movement, although no new capabilities were added. One other note worth mentioning is the variety of bezel colors offered through the years. The Pepsi red/blue, of course, and the Coke (red/black). And there was the root beer (brown/gold), as well as solid black. 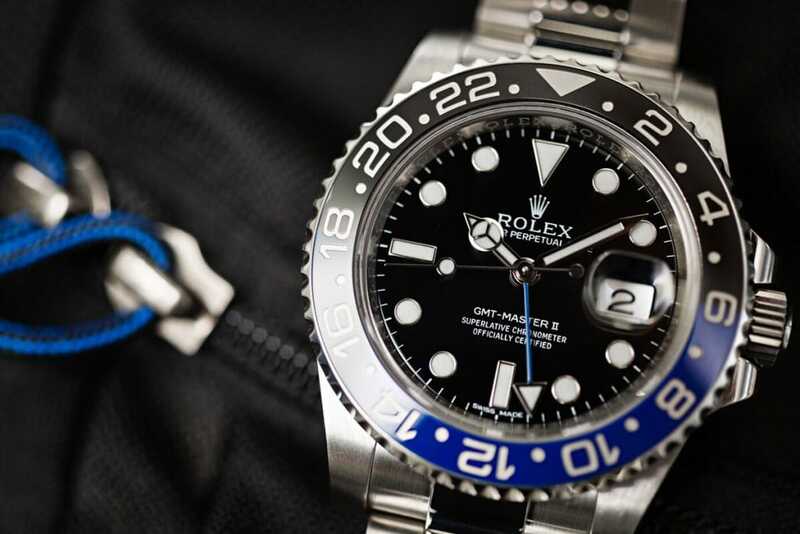 Several years after the introduction of the ceramic bezeled “supercase,” the “Batman” black/blue bezel was introduced in 2013. And finally, last year, the Pepsi came back in ceramic, albeit only on the white gold version of the watch. The GMT-Series has a long list of nicknames. 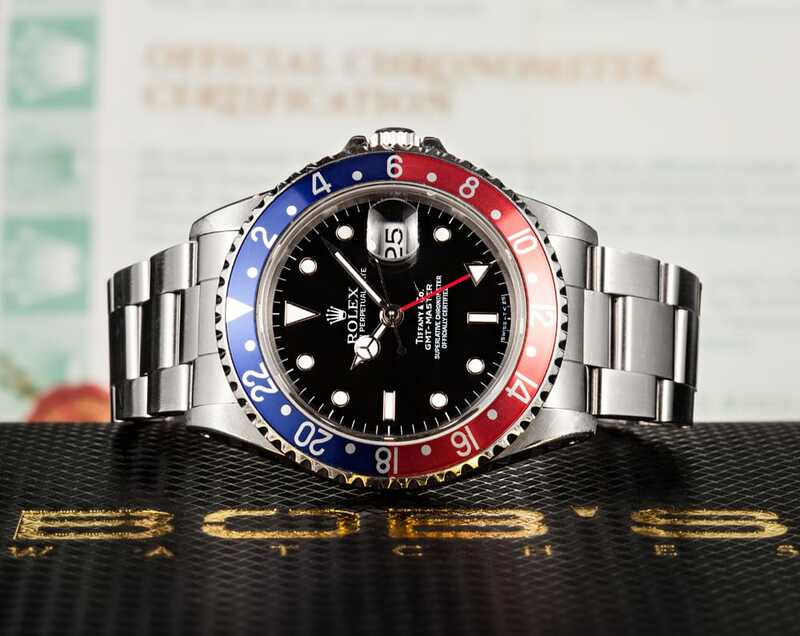 Overall, the GMT-Master series has been one of Rolex’s flagship models. If you meet an older gentleman who’s only ever worn one Rolex over the decades, there’s a reasonable chance the watch on his wrist is a GMT-Master. And I know a few young guys who are following that same path with the Batman.